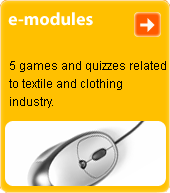 woven or knitted textile fur, which gives the appearance of real fur. Polyacrylonitrile fibre or wool is used in the pile. The pile is created in two heights and various finenesses of fibre (downy hairs and dog hair). Fur is patterned, printed or pointed. Its characteristic look is achieved by the application of certain finishes, fancy shearing, whirling, brushing or embossing, giving the effect of real fur. Base textile is most commonly cotton or a mix, strengthened by a finish to the reverse side.